​Just Around the Bend; Oil on panel; 12"x16"
​When I begin a painting my goal is to create a unique vision of the subject and enjoy the adventure. Painting indirectly gives me the thrill discovery as each layer foretells the next. This style allows me to creatively build on the manic brush strokes of the initial application of paint. I can paint unfettered using modern paints to reach a desired outcome quickly and still get the luminous light reminiscent of a traditional Hudson River School painting. The finished work will hopefully draw the viewer into the vision I have created. Luckily mother nature affords me all the inspiration I need, especially here in the Southern Tier. 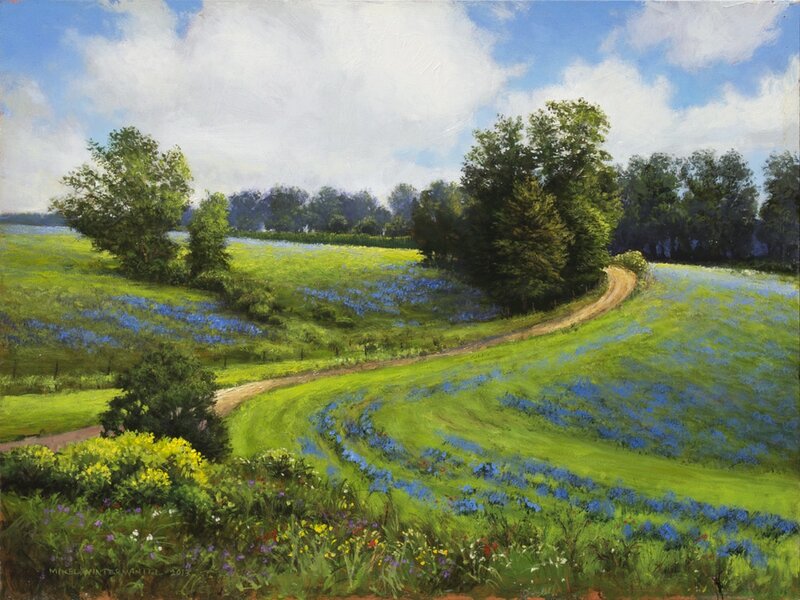 ​Mikel Wintermantel has enjoyed a worldwide audience for his Luminous Paintings of the American Landscape. He has earned the prestigious Copley Master Status as well as numerous other notable awards including the John Singleton Copley award for Outstanding Artistic Achievement, The Bryan Foundation Award, The National Society of Painters in Casein and Acrylic Award to name a few. His work has been published in national artist magazines and other fine art books since he took up painting again in 2000 after a 12 year hiatus.